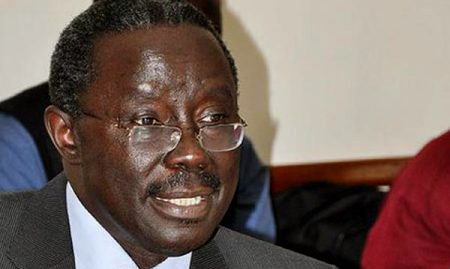 KAMPALA – Uganda’s former Attorney General Peter Nnyombi has died. Nyombi died aged 64. He was confirmed dead on Sunday evening by Government spokesperson and executive director Media centre Ofwono Opondo. “Yes, Hon Peter Nyombi has died,” he confirmed without giving more details. Peter Nyombi, a lawyer and former Member of Parliament for Nakasongola County, could have easily been one of the most publicly discussed individuals in this country in the recent past. He is also remembered for his legal opinions- backing the appointment of late Gen Aronda Nyakairima as a Cabinet minister, while still a serving army officer, and, the apparent support for re-instalment of Benjamin Odoki as Chief Justice. Details of the story to follow.